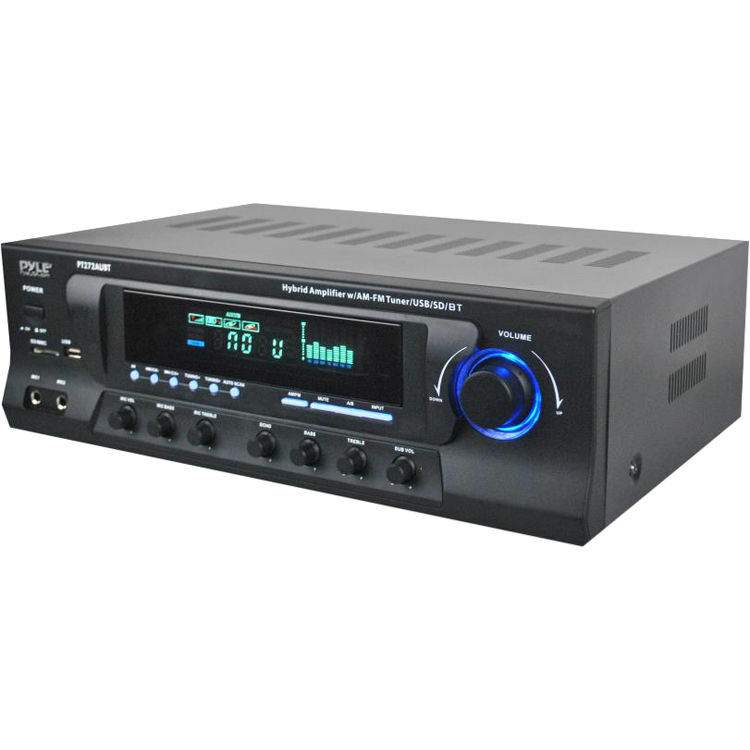 Enjoy music from your wired and Bluetooth-capable devices with the Pyle Pro PT272AUBT Stereo Receiver. This 2-channel receiver produces up to 30W of RMS power per channel at 8 Ohms and is equipped with Bluetooth connectivity, allowing you to wirelessly stream music from compatible audio sources such as computers, smartphones, and tablets. A USB reader and SD card slot are also onboard, along with a stereo RCA input and two 1/4" microphone inputs. The integrated AM and FM tuners allow you to enjoy free over-the-air content and store up to 50 stations. Box Dimensions (LxWxH) 20.0 x 14.5 x 8.0"